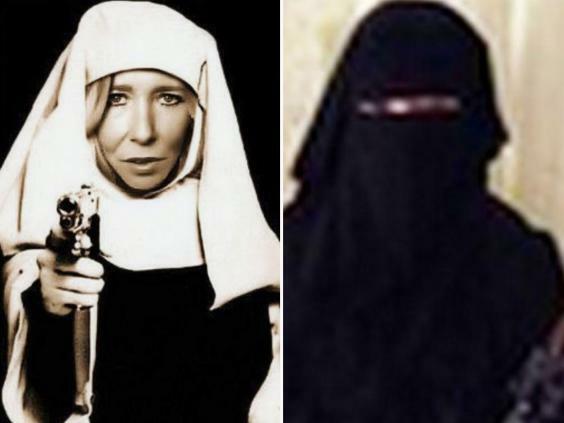 Sally Jones, the leading female recruiter for Isis, reportedly wants to leave Raqqa and come home to Britain. The former punk rocker who married a now-dead Isis fighter and took her son to Syria has been “crying and wants to get back to Britain,” according to reports. “I know one-Umma Hussain al Britani”. She used Jones’ nom de guerre, according to Sky News. Jones was married to Junaid Hussain, Isis’ chief of digital jihad who was killed by a US drone strike in 2015. “She lost her husband in battle last year. She had one boy,” Aisha continued. Jones’ son Jojo was born in the UK and is about 12 years old. The boy’s grandparents and father expressed their fears in 2016 that he had been brainwashed into becoming an executioner for the terrorist group. A chilling video released by Isis shows a group of boys executing five Kurdish fighters. Aisha said: “She was crying and wants to get back to Britain but Isis is preventing her because she is now a military wife. She told me she wish to go to her country.” Sky News noted that if that is in fact what Jones wants, she will have to be prepared to give up her jihadi recruiting and prepare to exchange life in Raqqa for a lifetime in prison. Jones reportedly rose up a US kill list back in May, with analysts believing she was behind several Isis terror plots. “Mrs Terror,” as Jones has been dubbed, is reportedly behind more than 10 operations that targeted army personnel and civilians.